We bring your business online. Our goal is to help your business bloom by getting results and being a reliable partner to help manage your online presence. We build a solid foundation for your business online presence by putting intelligence behind the design. 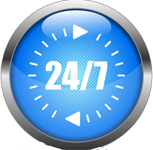 Your 24x7 store. No closing hours. World will know about your business. 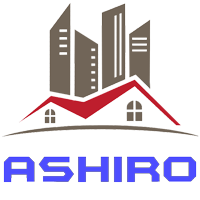 AshiRo Rentals AshiRo offers a service for renters to conveniently advertise one or more rental properties online. It provides tools to plan, publish, share, track and receive feedback from prospective tenants resulting in savings in time and money. With AshiRo you can manage rental properties such as; Apartment, Office, Condo, Multiunit, Room, Student, Old Age Living, Basement, House, Townhouse, Bunglow, Mobile Home, Low rise, High rise, Industrial, Vacation, Retail, Commercial, Shops, Farm, Shared, Short Term, Storage, etc. AshiRo is very easy to use. With instructions and FAQ, registered users can adapt quickly with AshiRo. It has simplified workflow and has reduced the repetitive tasks thereby saving your time. It has flexibility and provides complete control to manage property information. Special feature, Premium listing, is available at your disposal to make your property listing stand on top. EventsMaster.ca Events Master offers event planners a one stop, subscription-based online service to conveniently plan and manage multiple events concurrently. UshGo UshGo is a content management application for managing daily postings, publications, articles, agenda, etc. Build online showcase with their product information. Personalised email for you and your staff. We understand how business is important to you. We try to provide hassle free service so you could do business with the customers across the world. We process website software development in stages. The listing of stages varies depending on nature of work. In short here is what we do during development stages. First we collect information on your key resources. Then we gather requirements from your key sources. Our experts study and analyse the requirements. Then we share the implementation plan with you. Development begins and product is delivered in stages. Each stage the product is tested. Your staff experience the product. Your staff adds value to the next stage. Product is delivered in incremental value. Final product meets your requirements. We shake hands and ask for any referrals. Adequate documentations are prepread during the stages of entire process. We try to provide error free quality products, optimize business process and atomize data input process to minimize the data entry errors. Testings are performed during and after the development process. Each module is subjected for 'Expect from unexpected' test. Integration test, Compliance test, and custmized tests are also performed to meet the requirements. We blend a unique collection of talents, products and global experiences into a truly unique group that is making a difference in the software industry. we are an international team of enthusiastic IT professionals in various areas of expertise such as business processes, product design, programming, and many more. We combine these technology skills with our online marketing service to ensure you get far-reaching and superior product which have the potential to affect the online market for the decades to come. KishMan Solutions and TirangaCorp are partners in providing Information Technology and Project Management solutions. 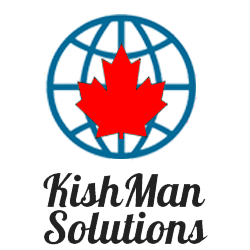 KishMan Solutions has various online products and services and TirangaCorp provides technology maintanence as well as back office services. Note: Mention your name, city/country, telephone in all of the messages. Voice of Vedas Montessori school is fully licensed by the Ministry of Children and Youth Services Ontario Government and runs toddler and kindergarten programs. The school is the brain child of Dr.Budhendra Doobay, President of Vishnu Mandir. The school was officially opened in September 2006. Dr. Doobay’s main goal was for parents to feel safe and secure when dropping their children off for childcare. His vision for the children was for them to be in an environment where they can excel in both the Ontario curriculum and learn about our Hindu religion. Previously school information was on a page that was a part of its parent organization. "We want seperate website for the school and searchable on major search engines." said the Director. School also wanted to have modern look for the website. "We want mobile friendly website and parent should be able to register online for their kids, pay for the registration and subscribe for the newsletters." said the school Supervisor. We have created an online presence school.voiceofvedas.com that would provide 24 hours information to the parents about the school and its various programs. In 2015 project begin to develop a soluton. A framework was created featuring a responsive website with online registration for program and newsletters. The solution uses state of the art technologies such as HTML, JSON, JQUERY, ASP.NET, C#, VB.NET, xml, and MS SQL server. With the SEO friendly solution, website has ranked up on major search engines in short time. School has started getting online resgistrion and managing those become very easy. School now benefits from 24 hrs./365 days online information, mobile friendly website, and much simpler payment processing. Classique Car Rentals Jamaica launches website, improves collaboration and information access. It is one of fastest growing company in the car rentals services. The company is licensed by the Jamaica Registrar of companies and is also a certified motor vehicle dealer, governed by the Trade Board, operating in accordance with the ministry of Industry, Investment and Commerce. Classique car rentals Jamaica is in rental business from Aug 2009 and the company services to thousands of customers in West Indies and from USA. Over the years, their sales team was using traditional methods for sales and marketing. However, it was becoming evident that with traditional methods their sales team were able to effectively convert sales within the existing customer base but could not grow because they were not able tap market beyond the box with traditional methods and could not reach customers worldwide. "I want to reach customers worldwide and tell the world our lowest rates and our best customer service" says Nicholas. Classique car rentals Jamaica planned higher growth in 2014 and we saw the need to provide an online presence, 24 hrs/365 days rental car booking system and renter rating system for the company to continue to grow. We took this as a project challenge and provided start-to-finish services. Work began from ground zero level. Work involved selection of methodologies, design layouts, technologies, creating prototypes, conducting development activities, scheduling tests, deployment etc. Classique car rentals were provided solutions with the state-of-the art technologies such as .NET and SQL server. Improved booking management and sales opportunity tracking- "KishMan.org has given our company the ability to manage rental booking efficiently and to contact renters to get their feedback and ratings," says Nicholas. Ability to publish customer feedback - "Because of the Renter ratings module, we are able to display renter ratings and share customer comments on the services they received from Classique car rentals." Says Nicholas. Through automated renter feedback process workflows, we are able to publish renter ratings on the website. Ability to manage inventory - Developed product has extremely improved the process workflows and that has made car inventory management a simple and most convenient experience to work with it. Online booking engine - Online booking engine in the developed product has ability to search available cars and renters can quickly locate and book their favourite car. “Rental bookings on Classique car rentals website is the most convenient and user-friendly that I have ever seen.” says customer. High quality customer service - "Now with the aid of tools available on website, we can confidently track and manage each service issue from the moment it is created until the moment it is resolved." says administration staff. Improved sales operations - Managing car inventory, rental bookings rates with impressive rental quote summary are just a few examples of the efficiencies that are placed on website and it showed huge benefits in improving sales. Partner success - Tours and travels partner agents can now directly book rentaTours and travels agents can now directly book rental cars without having to wait for someone to speak. This reduced the need for booking agents to follow up on service requests and ultimately enhances customer satisfaction level.